The next cheese club is set for this Wednesday at the Hall. 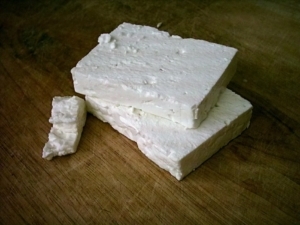 Due to the overwhelming request – we will try to make feta cheese! Bring your molds if you have one – Cost is $15-$20 per person. You must RSVP if you want to come. Class size is limited. We are going to be making Camembert and Dream Cheese in oil. You must RSVP if you want to come. I must limit the class size. Class is $15-$20 sliding scale. 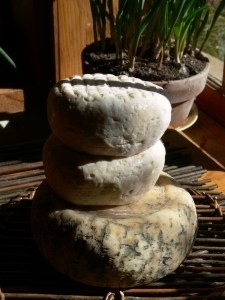 I have the Blue penicillin mold strain for blue-veined cheese. You must RSVP as I must limit the number. We are going to be making David’s Smoked Chipolte Pepper Paneer and Dream Cheese in Olive oil. 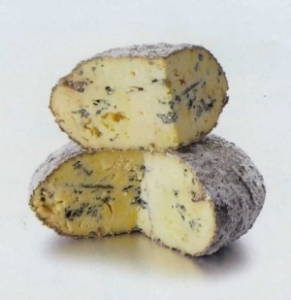 The next meeting of the Fabulous Cheese Club is 1pm -3:30pm on Saturday November 22. We are going to try to make a Brie. Please bring in a couple of yogurt containers (or any other genius finds) to make the molds. And please RSVP so I know how much milk to buy. 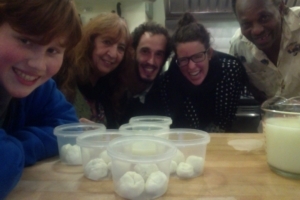 Our next cheese making Adventure will be on Friday October 24th for – Mozzarella!! See you all at 7pm. The Cheese Club is an informal group of cheese enthusiasts and is open to anyone – But you MUST RSVP if you want to come so that I have enough supplies for everyone. If you’ve been to one of David’s Cheese workshops – and left inspired – but then been unsure where to start – then this club is for you. We’re going to start an informal group to share experiences, equipment, make some easy cheese together and inspire each other to be bold and make new cheese! 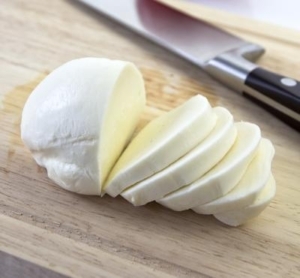 We’ll be experimenting with yogurt cheese on Thursday night. And then decide what we want to try next. 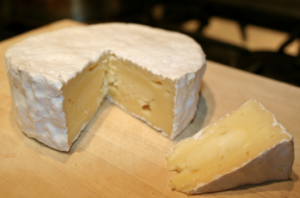 Join cheesemaker David Asher Rotsztain as we explore the fascinating realm of cheese. 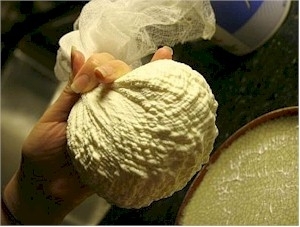 David will demonstrate and explain the techniques for making three basic styles of cheese: paneer, yogourt cheese and camembert, an aged rennet cheese. These lessons will provide a solid foundation for those interested in making cheese at home, or anyone who wants to know how their cheese is made. The workshop will emphasize a ‘natural cheesemaking’, with a focus on simple, DIY methods that are well suited to the home kitchen. 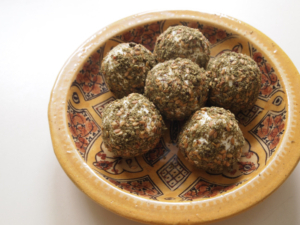 David will also discuss the topics of raw milk, rennet-free cheeses and dairy ferments. At the end of the workshop, we will feast on our freshly made cheeses. David Asher Rotsztain is an organic farmer and farmstead cheesemaker on Mayne Island on the west coast of BC. He picked up his cheesemaking skills from various teachers, including a Brown Swiss cow named Sundae on Cortes Island. 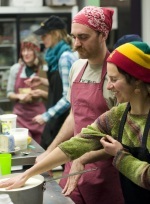 David offers cheesemaking workshops with many food security-minded organizations around the Salish Sea including Lifecycles Society in Victoria, the UBC Farm in Vancouver, and the Foxglove Centre on Saltspring Island. Check out guerrillacheese.wordpress.com for photos of David making cheese.